# Created on Jun 24, 2013 4:50:55 PM Erie, PA Advertising! 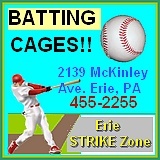 THE Most Effective Targeted And AFFORDABLE Advertising In Or Anywhere Near Erie, PA! 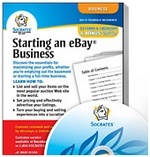 of the advertising value and ordering process. 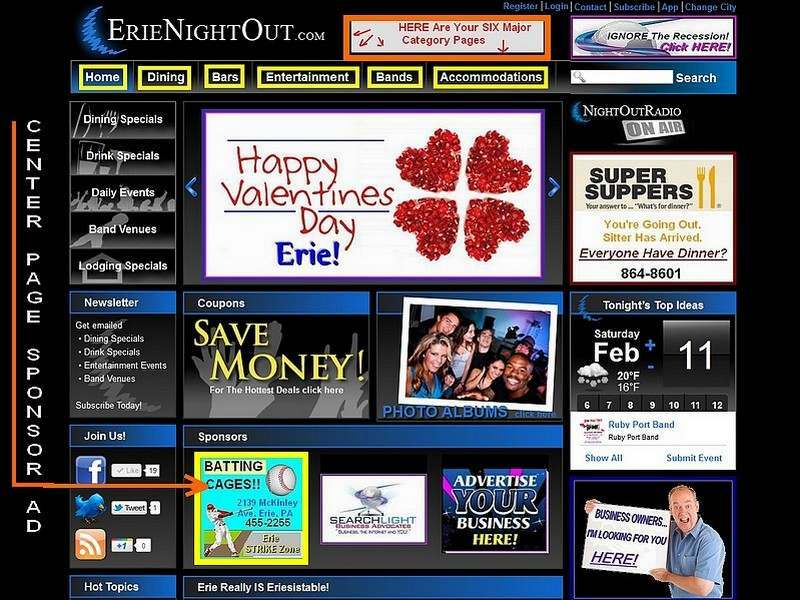 Thousands of your ideal potential customers visit ErieNightOut.com regularly as they plan Nighttime Dining and Entertainment Activities. This is your chance to place a full color advertisement with your personal website or facebook LINK right in the middle of the pages they see! Traditional print and broadcast media are losing effectiveness due to the popularity of the INTERNET. That's a true and permanent fact. ALL ABOUT FUN! - Our heavy promotions throughout the GREATER Erie Area and the FUN nature of ENO are creating rapid growth and popularity for us (and therefore, for you)too ! Please NOTE that the rates below reflect the 2013 SUMMER KICKOFF! SPECIAL rates! They are already 66% off the current regular rates AND when you place mutiple ads on 2 or more main category pages, it gets even BETTER! We're accepting only the first (10) TEN advertisers. These rates will LOCK IN forever for you unless you cancel so DON'T hesitate! HARD DEADLINE is NOON on Friday June 28th. Ads requested/placed after 4pm on that day will NOT be eligible for this very special one-time offer. Click The SUBSCRIBE Button and Enter Your Info. on he next appearing page. -- That's it! NOTE: You do not need a Paypal Account to order by Credit Card. Just click through and then enter your info. 100% guaranteed secure. 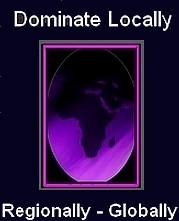 ***Please Use THIS FORM to tell us WHICH specific PAGE(s) on which you want your ad(s) published.